Uggla came in as a human imprint at only 5 weeks old, during the summer of 1980. He is our oldest permanent resident, at 39 years old, as of March 2019. Since Uggla is so conditioned to people, he was deemed non-releasable. “Uggla” means owl in Swedish. 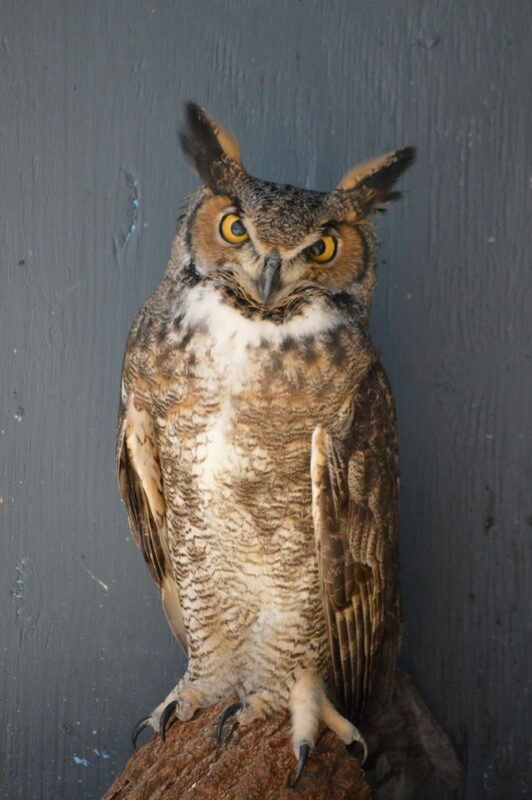 Great Horned Owls are one of the largest, and most common owls, that we have in New Jersey. They make the stereotypical “hooting” call.